Joel and Michele Rhyner staffed the RunWenatchee booth at the 2014 Wenatchee Marathon Health & Fitness Expo at the Wenatchee Convention Center. WENATCHEE — The second-annual Wenatchee Marathon Health & Fitness Expo will be held Friday, April 17, at the Wenatchee Convention Center, organizing group TedDriven has announced. 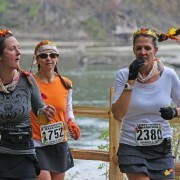 TedDriven also puts on the Wenatchee Marathon, Half-Marathon and 10K race. 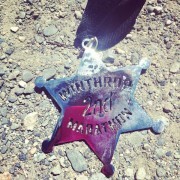 The running event will be held the following day, April 18. The Health and Fitness Expo features businesses selling gear and products; organizations promoting endurance sports events; and groups that have a connection to the outdoors, tourism and health. Registration and packet pickup for the Marathon, Half-Marathon and 10K is held at the expo as well. 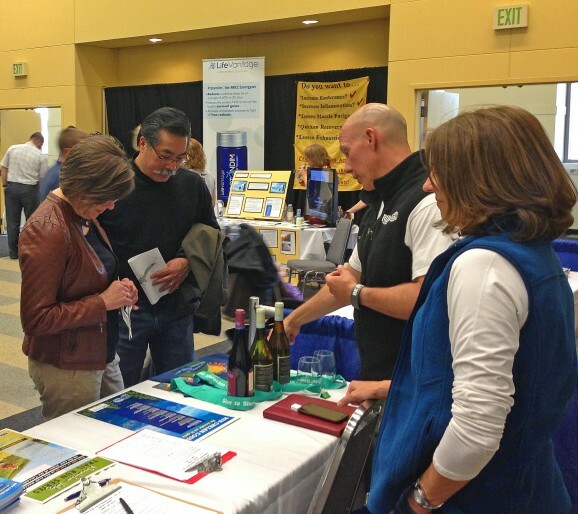 The first expo was held this past April and attracted 23 vendors. An estimated 1,700 attended. AdventureWenatchee is coordinating the expo for TedDriven. “We had such a great response from vendors and runners — and had such an enjoyable experience putting the expo on — we decided we had to do it again,” said Lynda Finegold, a partner in TedDriven. Hours for the upcoming Health & Fitness Expo will be from noon to 8 p.m., April 17, at the Wenatchee Convention Center. The Marathon, Half-Marathon and 10K will take place the following morning, with its start and finish at Wenatchee Avenue and First Street — just outside the convention center. 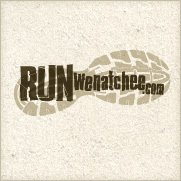 In 2014, the Wenatchee Marathon had about 1,300 runners sign up. .